We stand amazed at the power of God to do amazing things in the lives of His people. Last weekend was a glorious display of what God can do and the power of having a fellowship to help us labor for the winning of souls. It started with a great time of outreach Saturday morning. 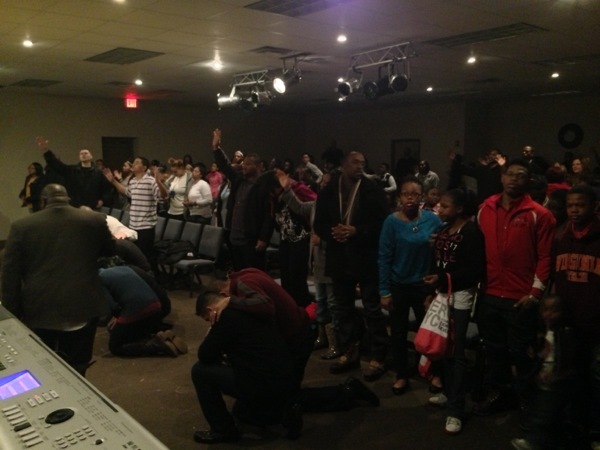 All of the area churches joined forces at our new location to spread the word for our Grand Opening services. Over 120 faithful saints chipped in to pray, witness and pass out flyers. Even though the rain changed our planned outreach, we hit every mall and Walmart within a ten mile radius. 5000 flyers were gone within three hours. More importantly, I heard reports of at least two people responding to Gospel and many, many reports of others that expressed interest in the drama and the Grand Opening services. Saturday night was an amazing time as the incredible production of the Harriet Tubman play went on as planned. Several of the area churches came to participate, filling our building and making use of every one of our new chairs. There were more than 120 gathered to watch the play including about 15 first-time visitors. After the show was completed, we were thrilled to watch four hands raised in response to preaching of the Gospel. We are so appreciative to the Raleigh congregation for investing their time and energy to see souls saved in our city! 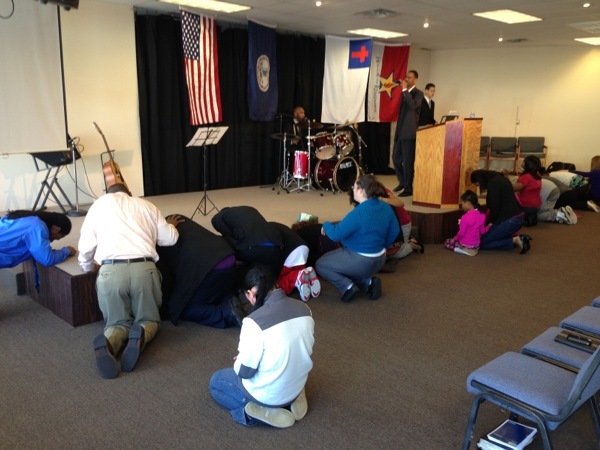 The Grand Opening weekend proceeded with our first Sunday services in the new building featuring Pastor Tony Chase. It was really a special time since Pastor Chase was saved in our church nearly 20 years ago. The morning service had 60 precious souls gathered to participate in our inaugural service including about 6 first-time visitors. Tony preached his brand of fiery Gospel truth that stirred us up to greater works and to be closer to God's presence. In the evening service, Pastor Chase brought everyone to tears with his inspired validation of the hard work and investment that had been done over the years from the long-term saints in our church. We are grateful to everyone who has made this move possible. From all the previous pastors who laid the foundation, to the saints that faithfully execute the will of God no matter how difficult, to the leaders of our fellowship who have brought the vision and direction over the years, to the Chandler church for the constant example and encouragement, and most of all, to Christ, the Author and Finisher of our faith without whom we would be nothing!